Choose one of our Earth Day the Easy Way options and skip paying for a designer. With our Easy Way options all you need to do is send your logo and we’ll take care of the rest. Send flowers through the mail at a postcard rate! The Seed Paper Postcard is a promotion that’s as affordable as it is green. 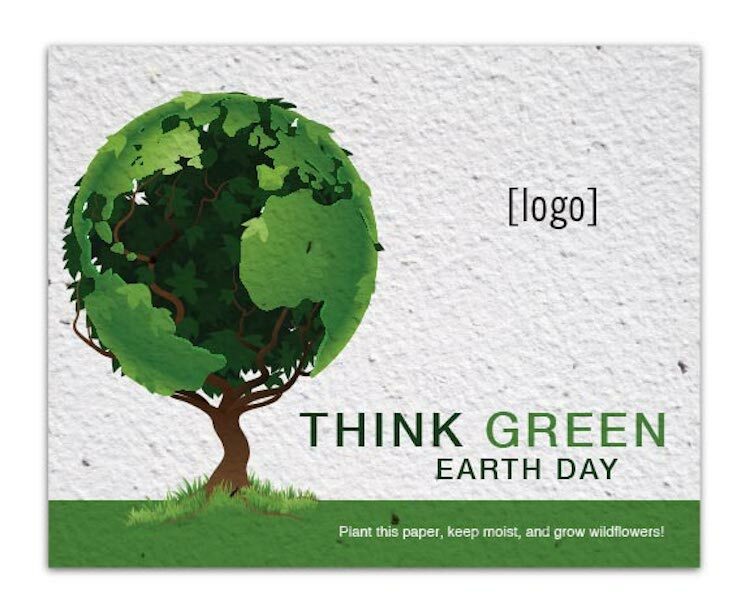 Your full-color, custom message is printed on the seed paper with Earth-friendly inks that won’t damage the seeds. Our seed paper is made by hand from 100%-recycled material and embedded with a hardy mixture of wildflower seeds. Just plant the entire postcard, water and enjoy your flowers! Bulk packed in bundles of 100.